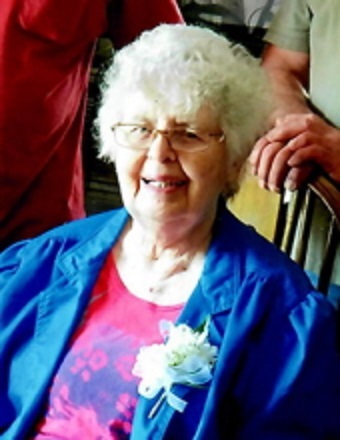 Mary Ann Aper, 81, passed away at 9:50 a.m. at Copper Creek Cottages in Lincoln, IL on August 4, 2018 surrounded by her loving family. Mary was born on October 5, 1936 in Lincoln, IL; daughter of Walter and Anna P. (Warren) Begolka. She married Gene Edwin Aper on June 24, 1956 in Lincoln, IL. He preceded her in death on January 2, 2009. Surviving Mary are her sons: David (Kim) Aper of Lincoln, IL and Robert (Beth) Aper of Broadwell, IL; one brother: Robert (Sharon) Begolka of Lincoln, IL; two grandchildren: Jacklyn (Jeremy) Billington of Lincoln, IL and Andrew (Tammy) Aper of Cle Elum, WA; nine great grandchildren. She was preceded in death by her parents, one brother: Harold Begolka, and one grandson: Michael Aper. Mary was a member of St. John United Church of Christ in Lincoln. She worked at Country Companies as a claim adjuster for over 30 years. Services for Mary will be 10:00 a.m. Saturday August 11, 2018 at St. John United Church of Christ with Robert Twist officiating. Visitation will be from 5:00-8:00 p.m. Friday August 10, 2018 at Fricke-Calvert-Schrader Funeral Home in Lincoln, IL. Burial at Hartsburg Union will follow the service. Memorials may be made in Mary’s name to St. John United Church of Christ.